Let’s be clear about why the super-wealthy in this country support the Keystone Pipeline. It has nothing to do with six months worth of work, which goes by in a heartbeat—or the pocket change it will generate in taxes. The super-wealthy are supporting the Keystone Pipeline because a large number of them invested heavily in TransCanada, and they are convinced that if the pipeline is built, they might get their investment back. Who in their right mind believes we should allow a foreign corporation to come into our state and declare “eminent domain” to take land away from us? The very idea is ludicrous. But for billionaires living on the east and west coast, if it means putting Nebraskans, and Nebraska’s greatest natural resource, at serious risk, so be it. They must be stopped. 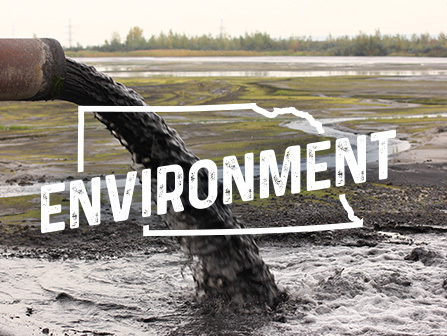 Help me send a loud message: we will not stand idly by while the rights of Nebraska farmers and ranchers are trampled--we will not stand for the deadly chemicals they will inevitably spill into our water.